Our goal is to meet the needs of our customers by delivering parts and assemblies that meet all specifications while decreasing our delivery times and reducing costs by focusing on the future while retaining the best practices of the past. Since 1959 Quadrant Tool has been committed to providing quality precision-machined parts, assemblies and tooling. The dedication, skill, and experience of our employees have enabled Quadrant to earn a reputation for outstanding quality and on-time deliveries. Quadrant provides parts, complete assemblies (including test and burn-in), inspection equipment, and tooling to the automotive, aerospace, medical, food processing, electronic, and automation industries. Our machining capabilities include CNC machining, CNC turning, wire EDM, CNC contour surface grinding, tool room machining and assembly. Additional services we provide include engineering and CAD design, direct machining from CAD geometry and certified inspection. 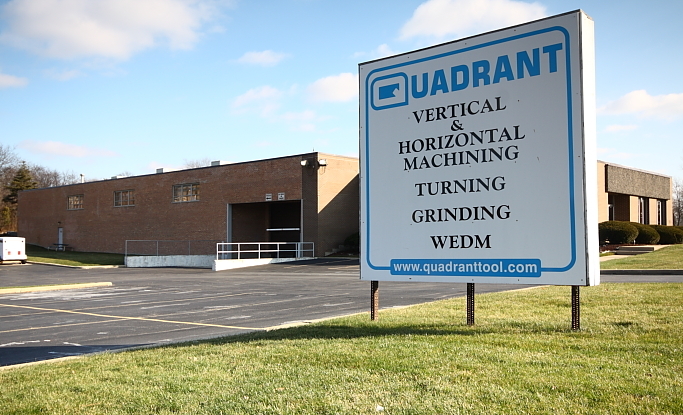 Quadrant Tool is located in a climate-controlled 18,500 square foot facility in Schaumburg, Illinois.